Samplix’ proprietary Xdrop™ technology comprises novel microfluidics, chemistry and bioinformatics in a simple work process that allows scientists and clinicians to partition millions of single molecules in droplets, thereby enabling both targeted enrichment and high-quality amplification of single molecules for sequencing analysis. Samplix participates in the AGBT conference in Orlando Florida. Looking forward to seeing you at posters 610 and 616. Samplix participates in the European Society for Human Genetics conference, Copenhagen, Denmark. Samplix participates in the VIB Next generation Sequencing Technologies conference in Leuven, Belgium. Samplix and partners to receive close to 1 million € in public funding through the Eurostars progam. The DNANext project including Samplix and four European partners has been earmarked for funding through the Eurostars program for development and testing of new technology for high quality DNA analysis. Eurostars is a joint programme between EUREKA and the European Commission, co-funded from the national budgets of 36 Eurostars Participating States and Partner Countries and by the European Union through Horizon 2020. Eurostars supports international innovative projects led by R&D-performing small- and medium-sized enterprises. Samplix participates in the 4th Annual MedTech & Digital Health and 16th Annual Biotech in Europe Forum in Basel. 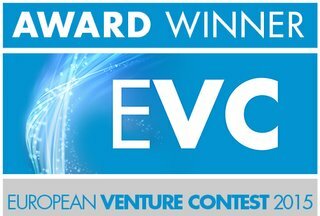 Samplix was among the top 25 Award Winners of the European Venture Contest 2015.